When a person’s heart stops or they stop breathing, emergency medical personnel are trained to intervene and try to save their life. That is the default unless there is a reason not to, such as a medical mandate/living will/advance directive. Doctors cannot decide unilaterally that resuscitating someone is futile, nor can they decide that the person’s ultimate quality of life will be so poor that it’s “not worth it.” That is very difficult to predict, and each person has a different opinion on what an acceptable quality of life it. The consequences of deciding whether or not to resuscitate someone can be massive. A person who may have lived may die. Or a person who would have died may live, but with severe impairment. 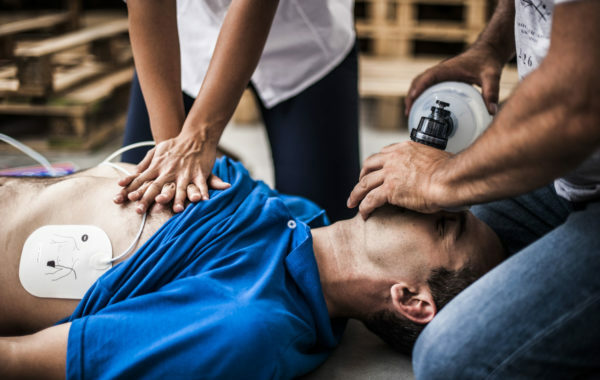 A doctor can potentially be held liable for resuscitating someone who did not wish to be, especially if that person lives many years requiring intensive and expensive care. Most of us have seen fictional resuscitations on TV. They are exciting and often the life is saved. Unfortunately reality is less rosy. Several studies have looked at the results of CPR on TV. One such study showed that on TV 75% of people are alive immediately after CPR, and 67% survive long term. In real life the success of CPR after cardiac arrest in hospital (survival after out of hospital cardiac arrest is significantly lower) is 40% right after CPR, but only 10-20% make survive to be discharged. And resuscitations are quite violent; ribs are cracked, tubes are put in airways and veins and chests. Which is all fine if the expected outcome is good, but again often it isn’t. It is interesting to note that healthcare professionals who have experienced many resuscitations are more likely to decline it. Studies have shown that at least 80% (up to 90%) of doctors would choose not to have CPR performed on them. Over the years a number of colleagues have joked to me about getting a Do Not Resuscitate tattoo on their chest because they know that it is often impossible to ascertain one’s wishes vis a vis resuscitation at the moment when it’s needed. It turns out, however, that this has actually happened. A letter in the November 30, 2017 issue of the New England Journal of Medicine discussed the case of a 70 year old male who presented to the ER very ill. He had the words Do Not Resuscitate tattooed on his upper chest. He had no identification on him and no family with him. Despite their best efforts his condition and his worsened. The doctors had to decide whether to pursue aggressive treatments (breathing by machine, intravenous lines in large veins with medications to bring up the blood pressure, potential eventual CPR). Initially they did, since he could not speak and it was possible that he no longer wanted no resuscitative efforts (there has been a case reported where a person with DNR tattoo changed his mind and was pleased to be resuscitated). Furthermore, letting him die was an irreversible course of action, and they were not completely sure of his wishes. However, the clinical ethicists who reviewed the case decided that the man’s wishes, expressed on the tattoo, should be honoured, and he not be resuscitated. Eventually they were able to find that he did have an official DNR order. One of the many issues this case highlights is that DNR is much more complicated that just a yes or no answer. There are a number of different treatments that can or cannot be withheld, such chest compressions, defibrillation (delivering electricity across the chest to change the heart rhythm, intubation (breathing tube and breathing machine), and assorted intravenous lines and medications. Sometimes (when the patient has had an actual cardiac arrest) there is no time to find out the person’s wishes, unless they are readily available. Many provinces and states have registries to make the information more accessible, but not all. And many of us have just not thought about it. It is something to think about and discuss with your doctor. What do you think? Have you discussed it with your doctor?